Open passenger side door and the open glove box compartment. Release the damper from the right side of the wall by pushing the plastic button from the smaller to the larger hole like you see in picture bellow. After you do this push on the left and right of glove compartment to release. After you remove glove box compartment you will be able to see cabin air filter housing cover. Remove Jeep Grand Cherokee cabin air filter housing cover by pressing the clip from the left side and then open cabin air filter to the right. Pullout Jeep Grand Cherokee cabin air filter cover. Pull out old cabin filter. Insert new Jeep Grand Cherokee cabin air filter with the air flow arrow pointing down. Reinstall cabin air filter housing cover. Engage the glove box damper. For more instructions feel free to ask about how to replace the air conditioning filter for Jeep Grand Cherokee year 2011, 2012, 2013, 2014, 2015. Find more information about where is located cabin air filter or air conditioning filter for Jeep. How to locate if you need to change cabin air filter, oil filter, fuel filter, pollen filter or air filter on Jeep Grand Cherokee year 2011, 2012, 2013, 2014, 2015. Source: Jeep Grand Cherokee service manual, google, other forum. Jeep Patriot cabin air filter location. How to replace Jeep Compass cabin air filter home? Where is the cabin air filter in a 2015 Jeep Cherokee? This is not a “grand” or “compass”, just a Cherokee. 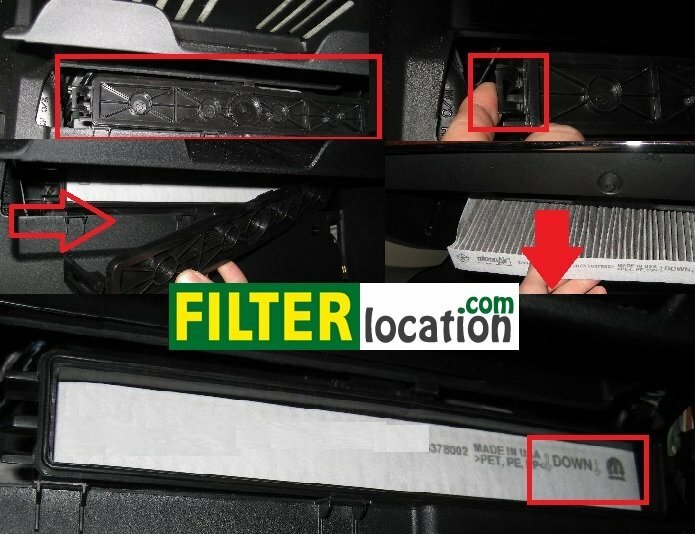 2015 Jeep Cherokee cabin air filter is located inside of the car on the passenger side in front of the evaporator on the lower right of center console. Let me know if you need other information.